Great vibe when first checking out the lot, didn't feel like I had to make any rash decision. Gave me time to make sure I could think and I left with what I really wanted. I would definitely recommend this business to anyone I know. They have a good selection of luxury/sport and commute cars. Also by having the car history info and 1 owner used vehicle I was confident driving off the lot. The paperwork process was a breeze they made everything easy and straight forward, were able to answer all my questions with detailed answers. Everyone there was a big help. Make sure you go check them out for yourself you wont regret it. 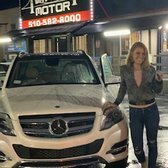 I purchased my first car from Bay Area Motor and could not have had a better experience! I saw and ad on line for a GLK BLueTEC and came in to check it out. The car is absolutely immaculate. They definitely got it detailed -- it looks brand new! I was a little nervous since this was a pretty huge purchase for me but Omar and his family walked me through the whole thing, they even helped me setup car insurance on the spot. Everyone I talked to was super friendly and I never felt pressured to purchase or like someone was trying to pull one over on me as I had at some other places I'd checked out. About a week after I had purchased the car I noticed that the parking break wasn't sticking. I called up Omar and he went out of his way to set me up with a mechanic to get these issues fixed. 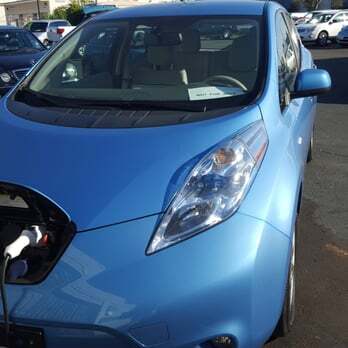 I purchased the car "as is" so I was fully expecting to pick up the bill for this but Bay Area Motor payed for everything and even had them put in new windshield wipers and an engine air filter while they were fixing the parking break! They even hooked me up with a push to start button at no extra cost. They called a few days later to make sure everything was working smoothly. These guys seriously take care of their customers!! Needless to say I'll be going back here for all future car buying needs and recommending this place to everyone I know!! Emran was awesome. Excellent customer service and vehicle knowledge was outstanding. All around beautiful car buying experience. Easily comparable to larger establishments. I give Bay Area Motors 2 THUMBS UP!! I'm not one to write a yelp review, but when I'm provided great service I let it be know. Omar and all the other guys were great. I found what I was looking for and we got straight to the process! Purchased a beautiful Lexus gs 300 immaculate. Plan on going back for another vehicle as well. The customer service was great. If your in the bayarea go check them out, in Hayward you won't be dissapointed. I only post on Yelp when a business deserves it. If you need a nice car with a great price, head to Bay Area Motor. Omar and his family are exceptional. Right when I arrived they treated me like I was family. Omar went through all the processes getting financed through my credit union. He showed me all paperwork with the car and made me comfortable with the purchase. I will definitely come back when I need another car and recommend you get your car there too. Just bought a used Chevy Traverse, and these guys were awesome!! Answered all my questions honestly and thoroughly. Great at explaining all the paperwork required to buy cars nowadays too. Emron and the team definitely made my first car buying experience less stressful as it should be. They were not only able to break down the monthly payment, interest they also checked up on me after I bought my car and made sure everything was smooth. I didn't feel pressure at all during my time here and I would recommend this dealership to anyone. Whether it's your first time or 5th or 6th time Emron and the team made it easy and fun purchasing a car from them. They were knowledgeable about all of their cars and made suggestions base on my lifestyle. You can't go wrong with them at all! I bought my Honda Insight here a couple of weeks ago. It was my first time buy from a car dealership and I was alone and I am a women. I had just come from Honda in Hayward where they made me feel belittled and unimportant. I came here and I didn't feel either of those things I got great customer services and they worked with on the price of my car instead of trying to swindle me out of my money. I love my car, if you are looking for a good reliable used car I'd come here. This is just an update from my car I purchased one year ago. No mechanical problems and is running smooth - I already put 22,000 miles on it (since I drive for Uber part time). I have no complaint and am very satisfied. Omar made it really nice and simple for me in choosing the vehicle that I wanted. The staff was super helpful and patient as well. There customer service is really great! Thank you so much! This is THE PLACE to buy a highend used car!!! We were greeted right away, all of our questions were answered in a prompt professional manner. Normally when walking onto a car lot, as a customer you feel pressure from the salesmen, HOWEVER this experience was far from that. Omar and the rest of his family team made my husband and I feel very welcomed. We purchased a 2007 Chevy Avalanche with under 50K mileage for only 17K!!!! Such a great deal. Their prices are firm yet appropriate for the car. I would not hesitate to go back and would recommend this place to family and friends. my husband went here on thursday after work to check out some cars. he spoke with emran and told me he was really nice and genuine. he showed me a lexus that we both really liked and were interested in. on saturday afternoon we went in and emran was busy helping another customer purchase a vehicle. linda stepped in and took us on a test drive. she was also very nice. when we got back we wanted to proceed with purchasing the vehicle, so omar started assisting us. we filled out the application and then we moved to the next room where both omar and enmar assisted us. this was by far, the fastest car buying experience we have ever experienced!! both omar and enmar are personable and very honest. the lexus we purchased was a great price for the quality. the next day we noticed that there was a little plastic dragging. we called and they asked me to come immediately so that we can get it taken care of. I took the car to their mechanic and he fixed it quickly! 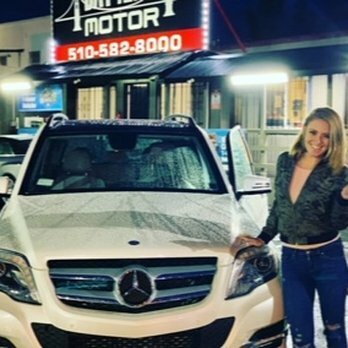 I would definitely recommend bay area motor if you are in the market for a quality used vehicle. the customer service was amazing! thank you all!!! I have to say dealing with Omar and his friendly staff took all of our anxiety out of negotiating a car purchase. 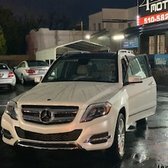 My wife and I purchased a 2012 Mercedes Benz GL450 from Omar. It was so clean when my wife picked up the car it looked like it came off a showroom floor. Normally I want to complete the transaction quickly because after a four hour ordeal at other dealerships I just want to say forget it and leave. We enjoyed every minute at Bay Area Motor. We were there a couple of hours after we test drove it and decided to buy. My wife and I had complete trust in Omar and would highly recommend friends to drive to Hayward and pay him a visit. Bought my first car here not long ago. The whole staff was super friendly. Omar was INCREDIBLY patient with me throughout the whole financing process. The entire experience with these guys was overall smooth. Really satisfied with having picked this dealership and definitely recommend coming here if you're looking to also buy your first car. Yesterday i took a car 2015 Sonata, Basheer and omar.B are very nice peoplethey are really help me and they have more patience and I appreciate a-lot for good deal for me. Thank you Basheer ji and Omar.B. 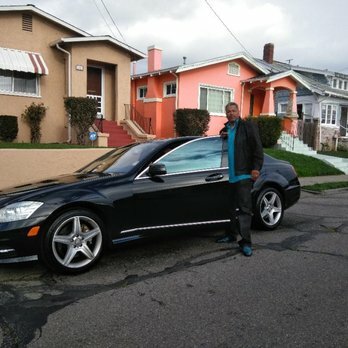 I suggest Bay Area Motor to who are looking for good Cars with nice condition and for good deal as well. Is buying a car stressful? Yes. And it will be for the entire process -- don't doubt that. HOWEVER, Omar and his staff will make the process go as smooth and easy as possible. Omar and his staff are up-front about everything. They do not dodge any questions you ask. The best thing about Bay Area Motor is how honest, and straightforward their prices were. There is no "hidden" fees, no random attempts to make more money off of you. I asked very clearly where every dollar was going, and Omar was able to give me a reasonable answer for every dollar. So right off the bat, this dealership is already better than most. This is my first time buying a car, and I had a few in mind from his lot. His team pointed out the ones they preferred and felt was a better fit for me and my needs(from my list). And I was set with the car I wanted to buy. Unfortunately, I ran into a bit of an issue with the bank I was going to finance through. Omar helped me finance through his bank, and when I was not satisfied with the interest-rate I was given, he gave me a couple of extra days to try to finance through other local credit unions. This was the saving grace, as it helped us lower our interest-rate by more than 50% and I walked away with the car I wanted. Bay Area Motor is interested in keeping their customers long-term. Omar definitely went above and beyond what he needed to do to make me satisfied with my car purchase. I would definitely go through them again. I'm speechless with their support and effort to make a deal with me. I was under stress and needed a car so bad for work and needed to get rid of motorcycle. They were able to help me to do a trade-in smoothly. Also the way they treated me like everything is going to be okay and got my back to get it done. They are very honest and kept their promises very well. Huge thank to Omar and Amini for their big support. Also Bashream for being silly. Ahaha. If you need a honest dealership then this place is the best place to be. Went in today and got 5 star service.. although picture wasn't taken but was requested. We love this place great experience new fav spot thanks to owner n sales men . 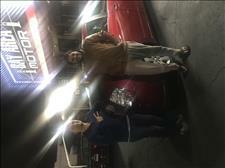 Great customer service ..
We got a Hyundai Genesis just a few days ago thanks to Omar and Amin!! They helped us financed the car & went above and beyond to help us with everything!! Dont hesitate to go to this dealer for help! Thanks again Omar & Amin! You guys are awesome!!! Great Place to buy your first or your next car ! The guys there help you with everything and try there hardest to get what you want at the rate you want it at ! My girlfriend and I just bought our first car, a 2016 mustang from here and could not be any happier ! They treat you like family and never give up on you. I would recommend them a million times and will buy our next car here. Thank you for your help Bay Area Motors ! I have been going back and forth to this dealership in the hopes of getting a car that I really like. Since the first time we came here for a car the car the I wanted wasn't available so I waited and waited to finally buy a commuter car. Finally they have a Toyota rav4 and so we went and checked it out and that night we took home the car, they said if they get a better deal the following day they will renew our contract and that's what they exactly did. They called us and even went to our house to resign our paper work. My APR went down from 11.99 to 7.99. Granted my credit score wasn't amazing but for me that's a pretty good deal. I got the car that I wanted with a decent monthly rate. This guys are amazing. They don't mess around and try to make money off of you. They also won't sell you crappy cars that will break down after a week. I will definitely buy another car from them. Basheer was very good ! He helped a lot with financial advice and car selection. It helped me a lot. Thank you basheer , finally i bought a car . 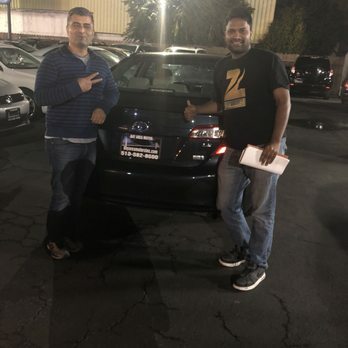 I had the best experience with a car purchase from now buddy Omar. After dealing with a major dealership for 2 months and ended up getting my check returned because they couldn't deliver the vehicle left a bad taste in my mouth. After thumbing through car sites I saw the initial car I wanted to buy.  I called up Bay Area Motor, first impression was very professional and business oriented. I went to see Omar and I purchased the car the same day. Here's the best part, hours of my life wasn't wasted, all parts of the vehicle was present. We completed the deal in 20 minutes. The cherry was he called to ensure me and my son made it home safely. I was very impressed. I recommended Bay Area Motor to all my co-workers and friends. Thank you very much for bringing back honesty and integrity. Will definitely purchase again. What a surprise! A car dealer who makes the experience a pleasure. Great service, polite, and with none of the hard sell. We bought a five year-old Mini that was in immaculate shape and not a penny over the Kelly Blue Book valuation. We found the car on the internet, phoned to see if we could come look at it. Omar brought the car to our home for us to test drive. The car looked, drove, and presented like new. (Including what looks to be a new set of tires). When we went to his office to purchase the car, he stepped us through the process very carefully and made sure we understood all the details. He followed up with the registration process and delivered everything to our house. We've had the car for a couple of months now and could not be happier. 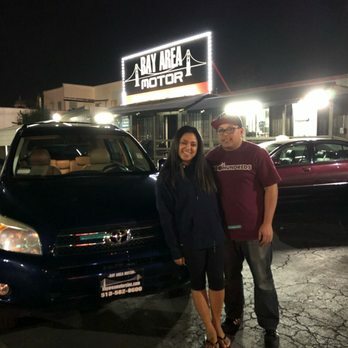 We bought our used car through Omar at Bay Area Motor. Omar brings in some very decent to nice cars and sell them at a competitive price. He has many pictures of each car on the website so it was easy to preview the inventory. The cars are not over detailed like your typical dealership or used car lots. We made an appointment and he came by to let us check out the car. Of course, when buying a used car it is up to you to carefully research the make and model, we took the time to inspect the car ourselves, but it would have been easy to go to a preferred shop if needed. His office is clean and did not take long to do the paperwork. There was no pressure tactics, we simply liked the car and the price. We will definitely check out his site again when in the market for a used car. Good selections for pre owned cars, i was looking for a new generation charger thats already equipped with after market rims and some extra goodies in it that has the color im lookin for under 60k miles and Omar is the only one that have that bad boy across the bay. 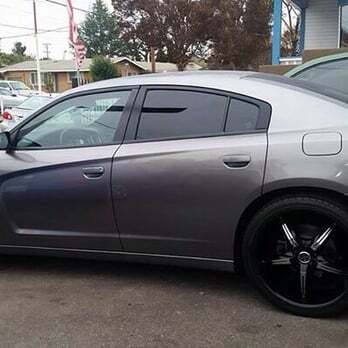 Omar helped me out and closed the deal and now enjoying my 2012 dodge charger equipped with 22" chrome alloy. Bay Area Motor!! One of the best dealer I have been to! They have amazing customer service skills! From the very moment I walked into the dealer I felt welcomed by Omar! He greeted me with a warm smile and a "hello how are you doing?" After chatting for a little while I told Omar about my financial problem and he told me not to worry and we went on looking at the cars they had. After searching for a while I found the car j wanted and Omar did his very best to make sure I get that car! After getting my application submitted to the bank I had to wait till Monday since this was Friday late afternoon! Omar told me that I will get good news on Monday! And he was right! My application was approved for my loan and j was able to get my car on Monday! He is the best! If anyone is looking to buy a car I 10000000% recommend you to stop by Bay Area Motors and talk to Omar l! He is the best!